The Logan Township Police Department is responsible for patrolling nearly 23 square miles. This task is carried out by some of the most professional and dedicated men and women in law enforcement. Our officers come to work every day not only to serve and protect but to make a difference in the lives of people who call Logan Township home. 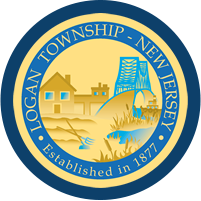 For more information please visit our website at www.loganpdnj.org, or connect with us on Facebook.